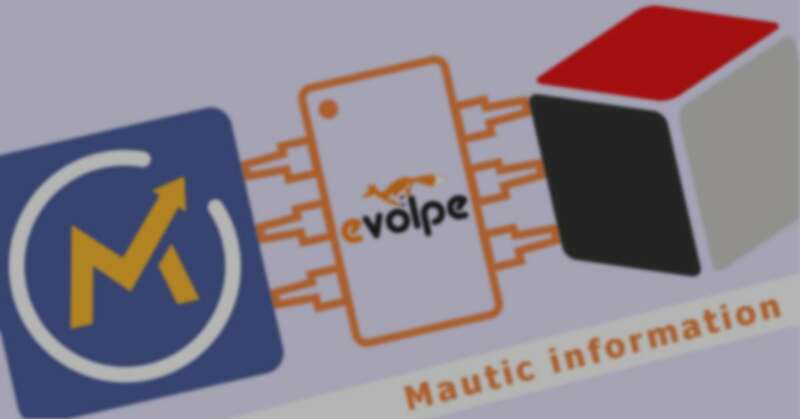 Following the Mautic Activities module chapter, we would like to introduce another part of the “How does Sugar & Mautic integrator by eVolpe work?” series. In this article, you will find more information about an additional panel within the Lead and Contact preview. Mautic – Information panel, as we call it, consists of two positions: Mautic URL and Mautic Points. The Mautic URL is nothing more than a link directing Sugar’s user to the same record in marketing automation app. For the convenience of use, we have decided to use Mautic’s logo for that. We wanted to provide you with an intuitive mechanism that could be easily used to switch between software. Noteworthy, clicking the “M” icon opens up Mautic in a separate tab. This way the previously viewed window does not disappear. In the Mautic – information panel, next to the Mautic URL, we have also included an information about a number of points (scoring) awarded for performing marketing activities (opening E-mails, clicking links, filling in forms etc.). With just this brief information, you can quickly and efficiently evaluate customer’s familiarity with your business online content.